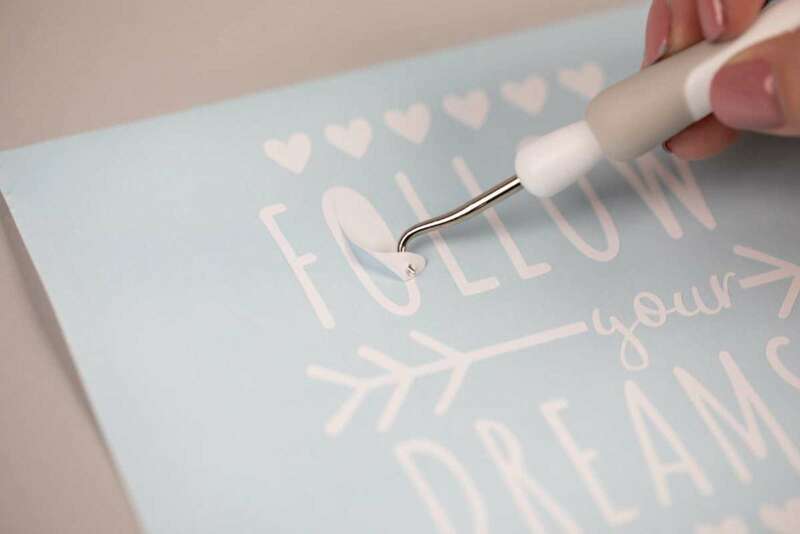 Everyone needs a little reminder to follow their dreams. 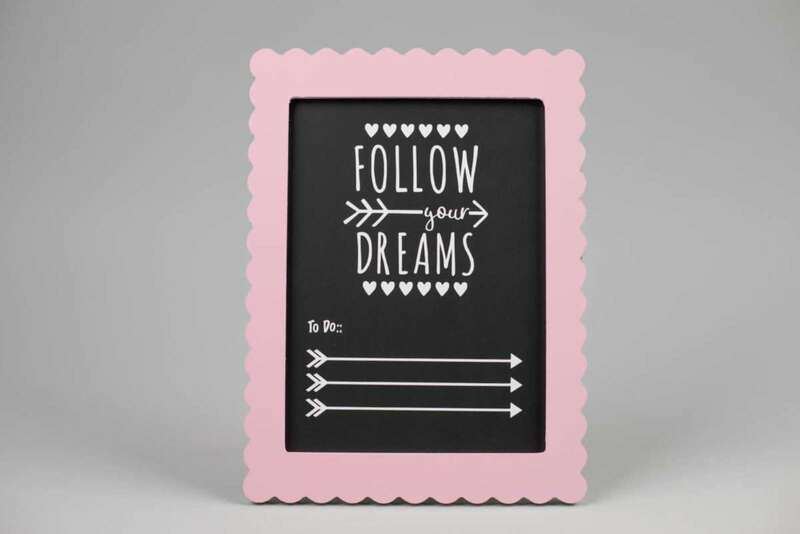 And today we are going to make a chalkboard sign complete with a section to write down things you want to remember to do to help achieve your dreams. 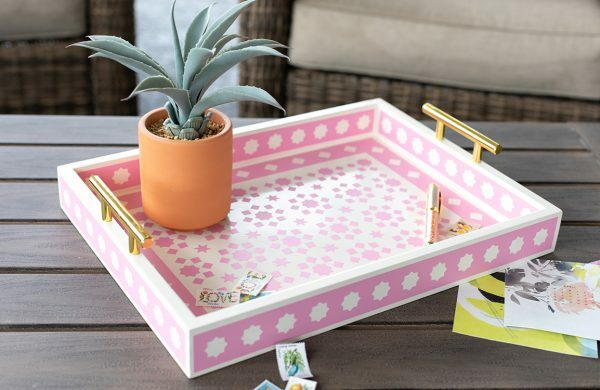 This is a simple project, so it’s great for beginners. 1. Begin by opening the design (Design ID #283763) in Silhouette Studio®. 2. Scale to size by selecting the image and clicking and dragging the square scale handles in the corner. 3. When you have that design scaled to size, open the arrow design (Design ID #47746). 4. Select the arrows, right-click, and choose “Ungroup” from the drop-down menu. 5. 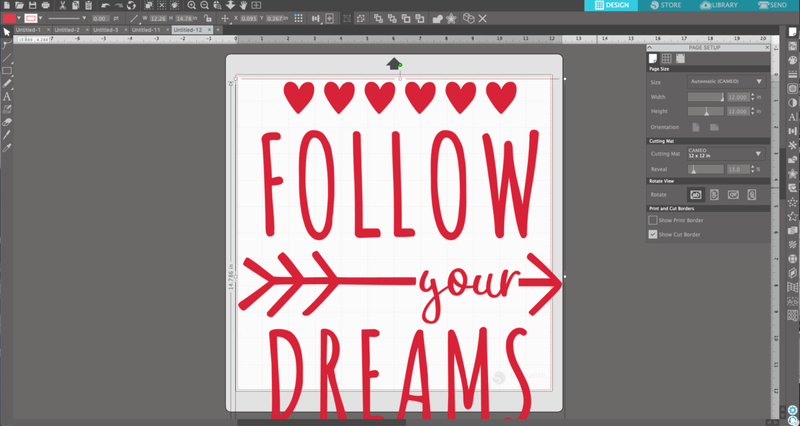 Now select just the arrow you want and bring it into the design field. 6. Scale this arrow to your desired size by selecting the image and clicking and dragging the square resize handles. 7. Duplicate the arrow by either right-clicking and choosing “Duplicate” from the drop-down menu or by selecting the arrow design and using the keyboard keys Control + any arrow key or Command + any arrow key. Repeat this step again so that you have three arrows. 8. Now select the Font tool from the left-hand toolbar. 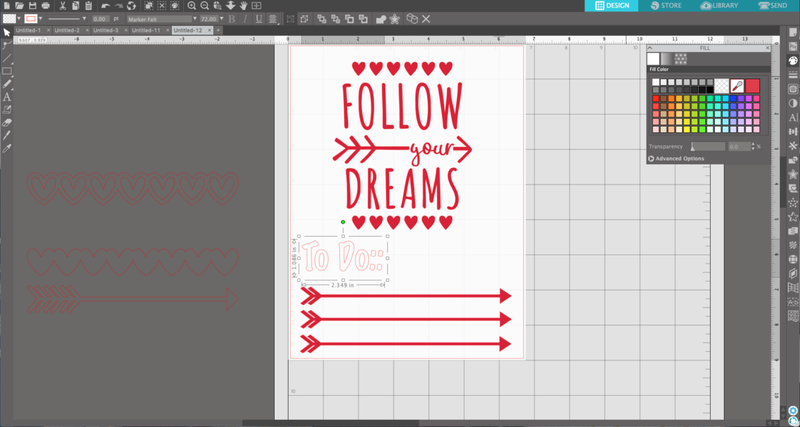 Open the Text Style panel by locating the icon on the right-hand toolbar and choose the font you would like. We used a font called Marker Felt. 9. Once you have typed your words, scale them to size. 10. You can fill the letters with color by selecting the words, opening up the Fill panel, and choosing your fill color. 11. 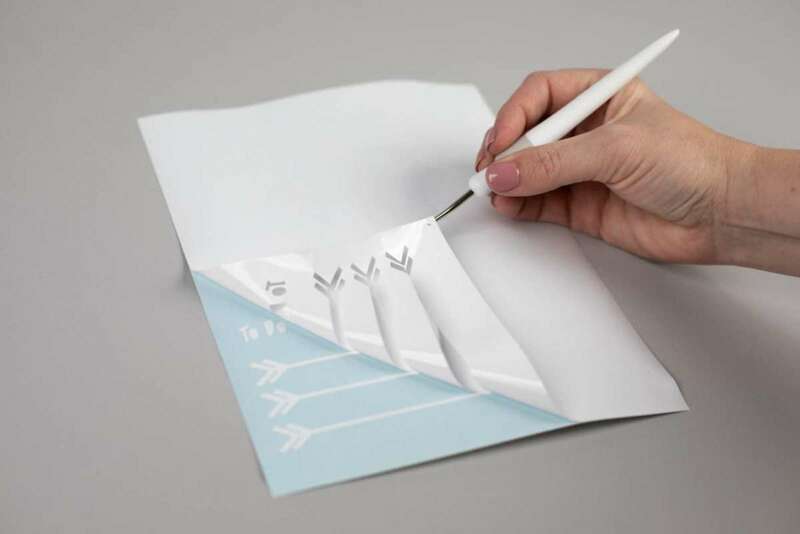 This isn’t necessary for the cut process; this just helps you visualize your final design. 1. Now place your vinyl on a cutting mat and load into the CAMEO or Portrait. 2. 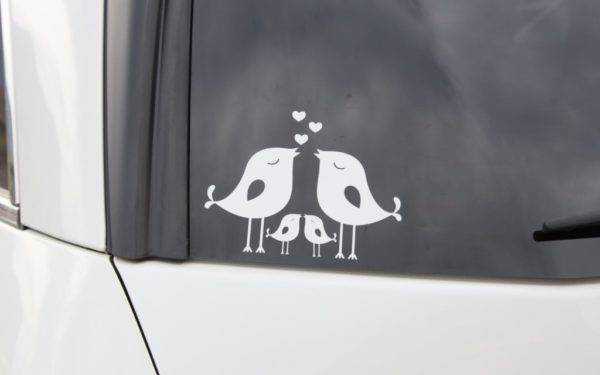 Send the design to your Silhouette machine. 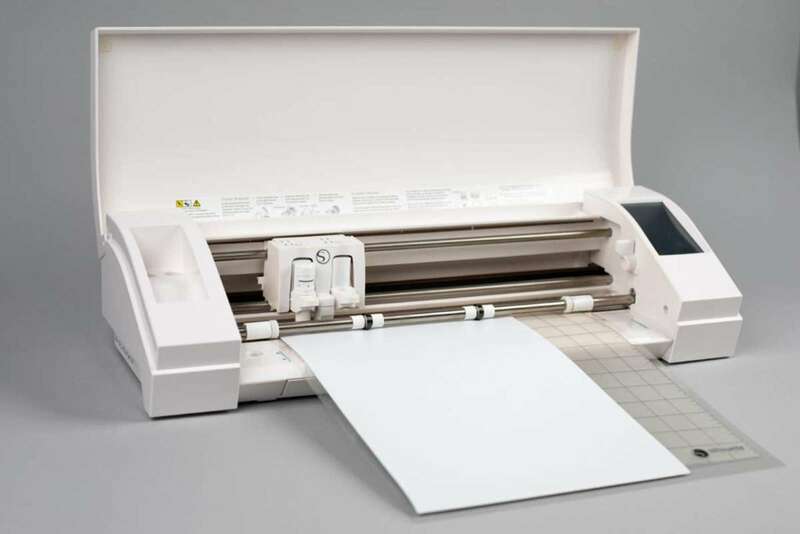 Make sure you have selected the corresponding cut settings for the material you are cutting. We are cutting the design out of matte vinyl, so we selected our cut settings accordingly. 1. Take the vinyl off the cutting mat and weed, or remove, the excess vinyl. 2. Carefully removing all the vinyl from the space inside the letters. 1. Next apply the transfer tape to the design. 2. 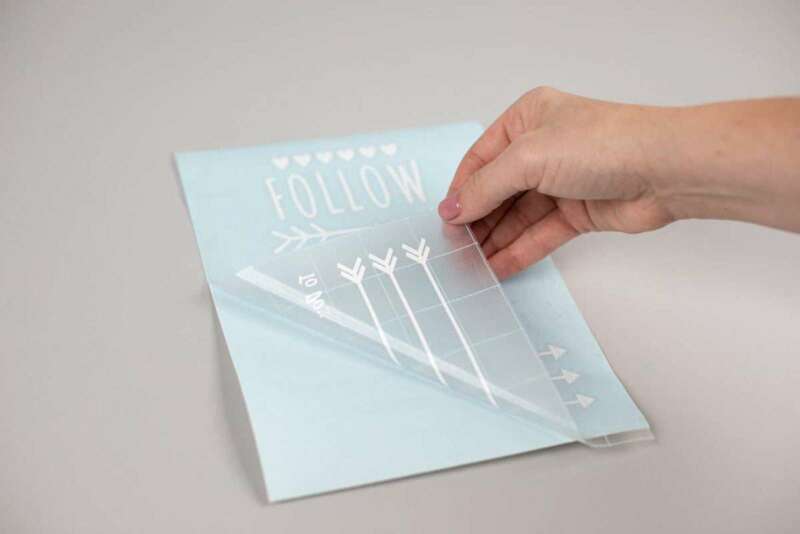 Rub the entire design to ensure a firm bond between the vinyl and the transfer tape. 3. 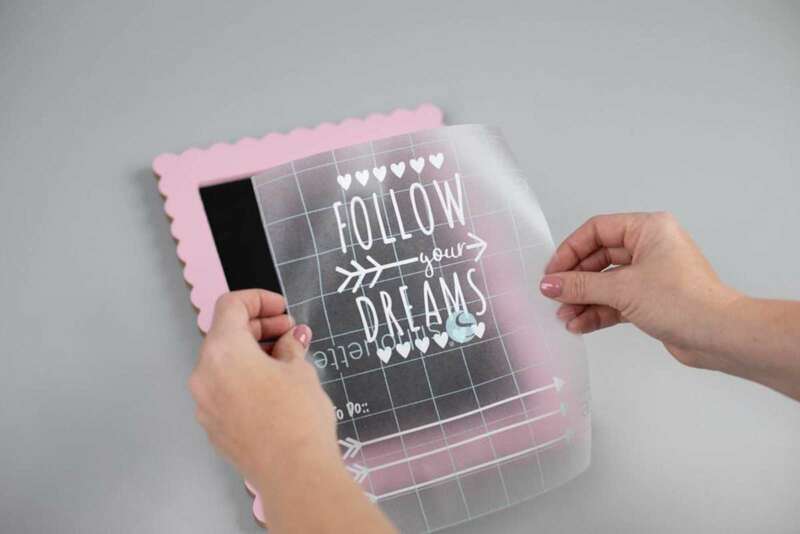 Slowly peel away the transfer tape from the vinyl backing. 4. 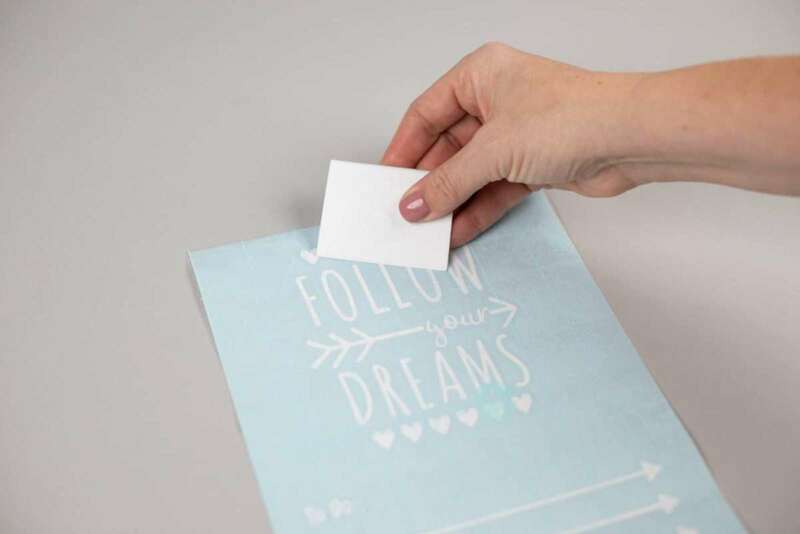 If any of your design doesn’t stick, carefully place the vinyl back down and rub the part of the design that didn’t stick. 5. 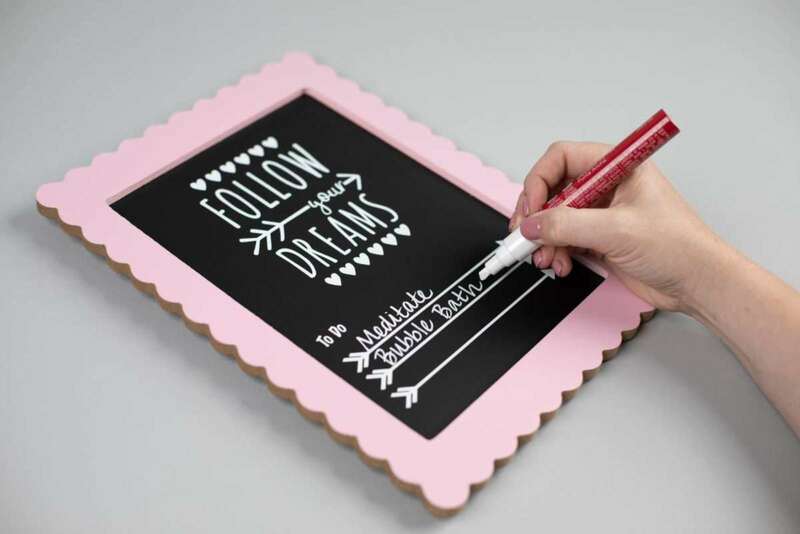 Now place the transfer tape with the design on top of your chalkboard. 6. 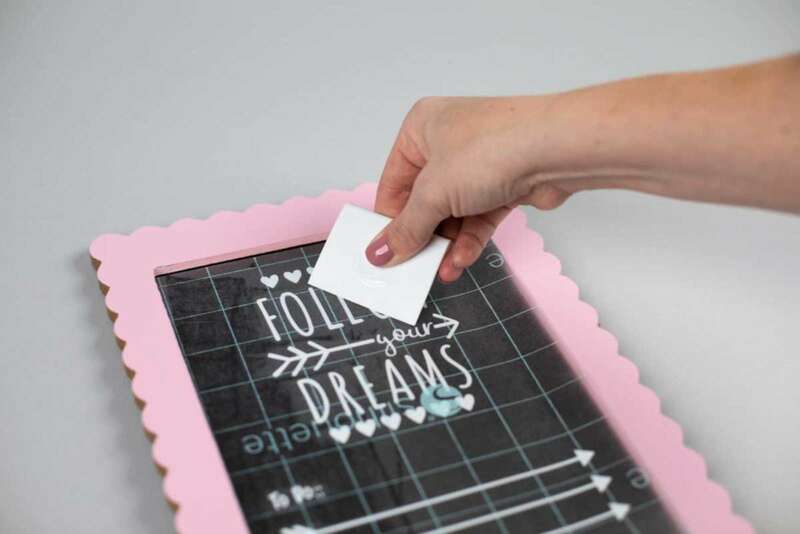 Rub the transfer tape all over again to ensure the bond between the vinyl and chalkboard. 7. 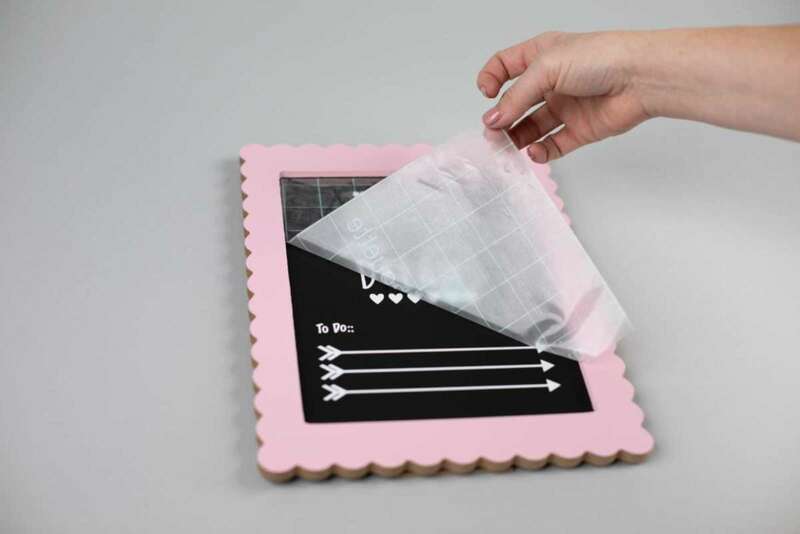 Carefully peel back the transfer tape from the chalkboard. Yay! Simple as that, you have custom chalkboard. 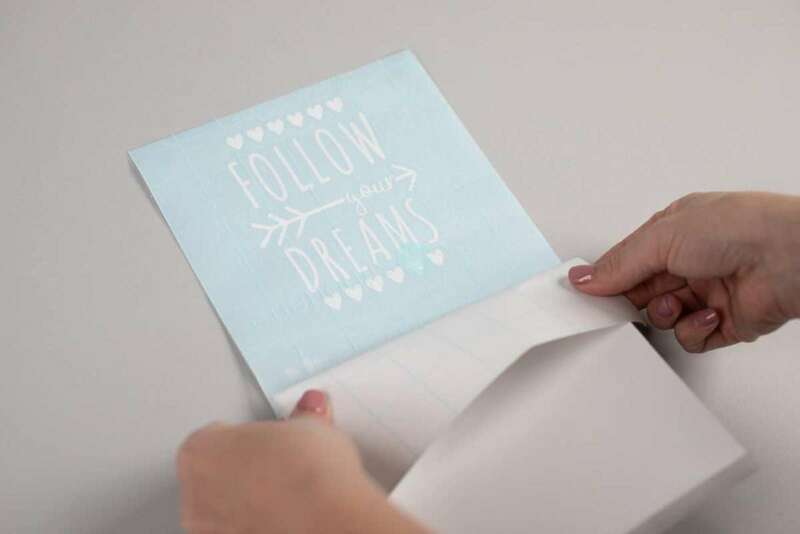 The last step is to write your to dos for how to follow your dreams! 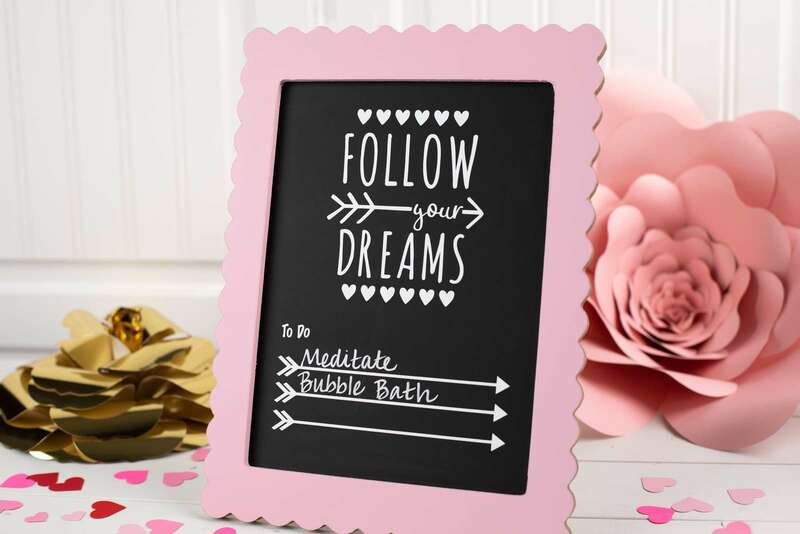 For us, meditating and taking bubble baths will make most of our dreams come true. What will be on your to do list?